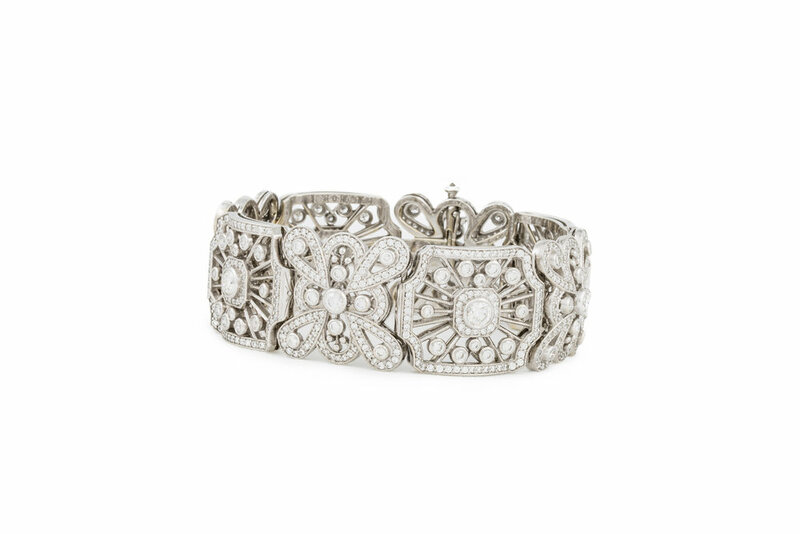 The Queen Anne Lace bracelet by Katherine LeGrand- Custom Goldsmith of Aspen, Colorado combines Katherine's love of the Art Deco and Edwardian periods. 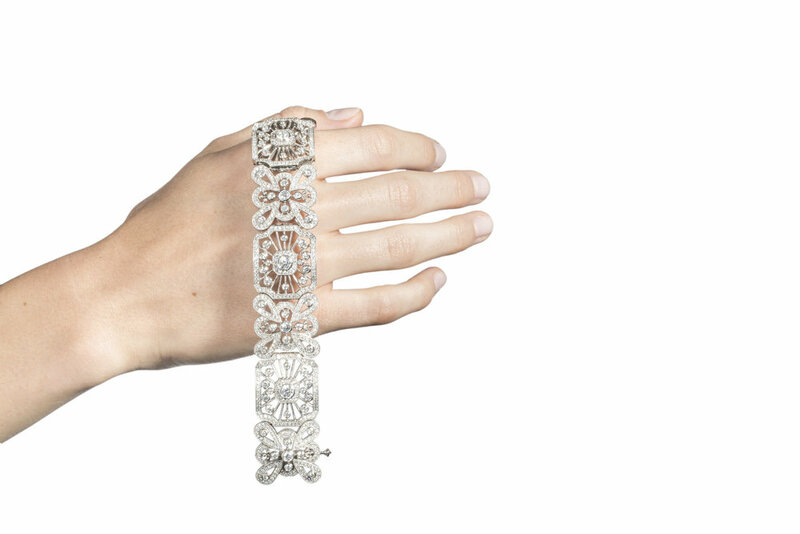 Inspired by various museum fashion collections, the handmade 18 Karat white gold bracelet alternates between an Edwardian butterfly link and a radiating Art Deco link. Combining all the romance from those eras, with soft feminine lines, the Queen Anne bracelet is perfect for your special moments. 11.58 carats total weight with 4 diamonds weighing 2.00 carats total weight, all diamonds D to F in color and VS in clarity.